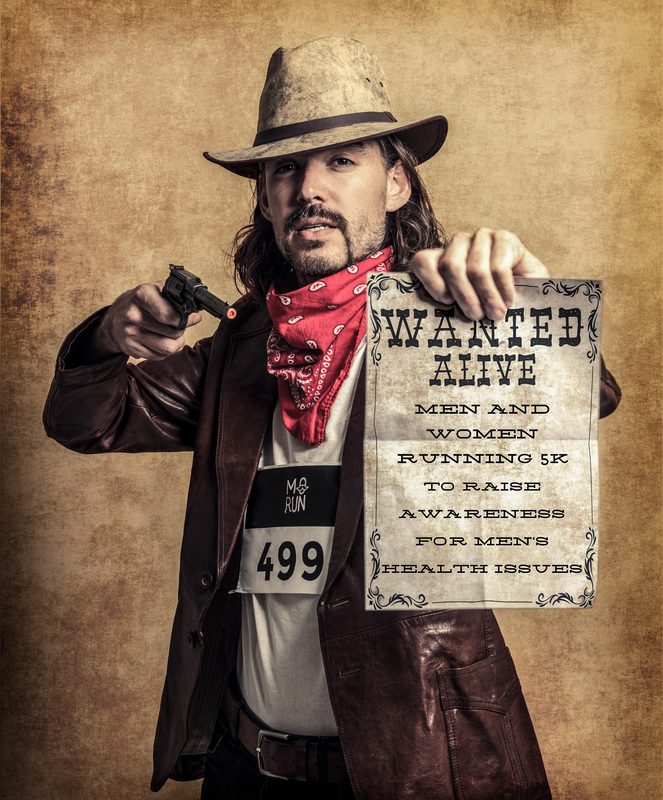 Last year Hans van der Lans participated to the Movember Run Amsterdam for the first time. He was brought to the finish by the man with the hammer (Marco Groot), but decided not to give up. This year he will participate again. We spoke to him about the importance of Movember and his participation to the Movember Run Amsterdam. Hans is 49 years old and as an accountant he is responsible for 8 chemical companies. He describes himself as someone who strongly believes in living responsibly and has been an active runner for the past 5 years. In his life he has been confronted with cancer in various ways and wants to fight it in any way possible. Why is participating to Movember so important for him? "Women at a certain age will receive an invitation for a health checkup. There is no such thing for men when it comes to prostate or testicular cancer. I have been looking for a running event that I could compete in without running in intervals. The Movember Run Amsterdam was a perfect fit to help fight cancer." In 2013 he ran his first marathon and also participated to the 2014 edition. According to him there is a big difference with the Movember Run Amsterdam. "I really liked the atmosphere of the Movember Run. It's a very special run, and I mean that in a positive way. Many people come dressed up and I noticed that many women participated. Moreover, 5k is not that far." Hans also runs for the VUmc (VU Cancer Center) and explains that prostate cancer has led to many scares for him and his loved ones. "I lost many loved ones to cancer in general. I lost a really good female friend and even my wife has suffered from cancer. I'm not a doctor, and not a scientist, but I can raise money. So once a year I put my body to the test and run the Movember Run Amsterdam. By posting on social media and by making people aware of the importance of it, I make sure that others see the importance of it as well." When I ask Hans what Movember means to him, he replies that Movember raises awareness for prostate and testicular cancer. "If that means I need to grow a moustache, that's a small price to pay," he replies. But do you know that Movember is more than that?, I ask him. He remains quiet for a while, so I explain that Movember also fights for men's mental health. "That's also very important," he replies. "There should be a more accessible way to solve mental issues. Especially when it comes to mental issues, people tend to judge you. It's still difficult for men to accept it and contact the GGZ (mental health care in the Netherlands, red. ); that's a taboo that still needs to be broken," he explains. "Many people think that this will never happen to them. They are very balanced, they think. But trust me, even when you think you are in a balanced state of mind, something could happen - or multiple things could happen at the same time - that will disrupt your state of mind. When things go bad, you will have the feeling that there is no help for you, because too often, you won't find a lot of understanding from others. You will then need a lot of time to cope with that. This can take years." So how is it possible that men find it difficult to talk about these things? "Men don't want to show their weaknesses. When you show your weaknesses, these may be used against you. That's a cultural problem, which already starts when you're a child. Imagine, you're being bullied. Then you will not show your weaknesses, because people will bully you even more. But even the bully will not show his weaknesses, because he knows it will endanger his position." According to Hans, this is the same for diseases. "Prostate cancer research is not pleasant. It can already be hard to take the decision to agree to such a medical examination. If you have a female GP, you may feel uncomfortable with the examination, but even if your GP is male, you may feel vulnerable. For men, this is an issue." So there's a lot of 'social work' that needs to be done for Movember. Is organising this event once a year enough? "No, not really, but I understand why they stick to once a year. If you would do this more often, it could become an overkill and it will lose its strength. What would help is when men could take a free test in the month of November, just like women can. Then you really stimulate men to take action." It's time for lighter topics; this is the second time you are participating. Can you tell me something about the previous edition? "What I noticed was that many people dress up for the event and many women participate. I was very tense for this event, because I've never ran 5k without intervals. Luckily, the organisation was great. I finished last, and was picked up by the man with the hammer (Marco Groot). That's totally different from what I'm used to with other running events." "I really participated to this run for myself, without wearing any advertising. There are only few events that I participate and return to. Movember Run Amsterdam was one of the 4 events that I will continue to participate to in the years to come." Why should others also participate to the Movember Run Amsterdam? "Because it's fun, it's easy to join, and it gives attention to something that needs attention. Moreover, it's a great way to stay healthy and have a great afternoon." Lastly, a very important question; are you going to improve last year's result? "Last year's result was 39 minutes and a bit. I will now aim for something below 36 minutes. That would be great!"